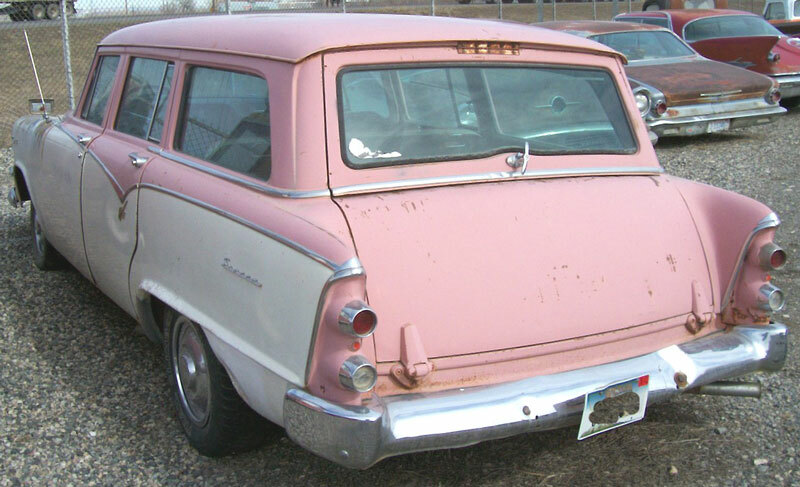 This pink and white 1955 Dodge Royal Seneca 6 passenger station wagon is a nice classic wagon ready to be upgraded. The body is very solid and straight. All the trim is there. There is a dent in the left center grill bar and both bumper guards. The right rear bumper end is pulled out and there is a dent on the right rear side. All the glass is good. The hubcaps are all there. The pink and white interior is all there. 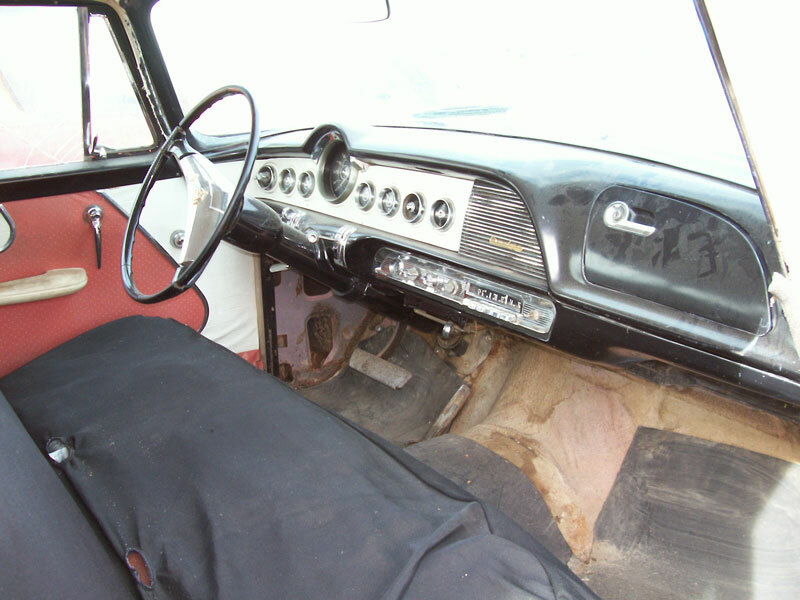 The dash is good and complete. The floors are solid. The front seat has a seat cover and may need to be redone but we cannot be sure because we have not taken the seat cover off. The 270 CID Red Ram 183 HP V-8 and automatic transmission are all there. The car runs and drives. The fuel and brakes need to be gone through before being driven regularly or on any trips. Since these photos were taken, the trim has been removed to ready for a paint job. There is also a repairable push dent in the lower tail gate but the tail lights were not damaged. 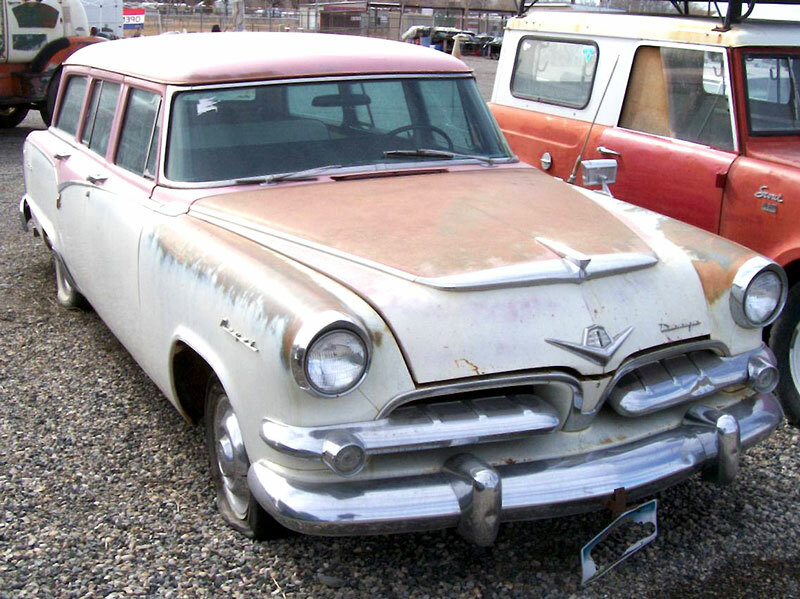 Here is your chance to restore and drive a nice 55 Dodge family station wagon. 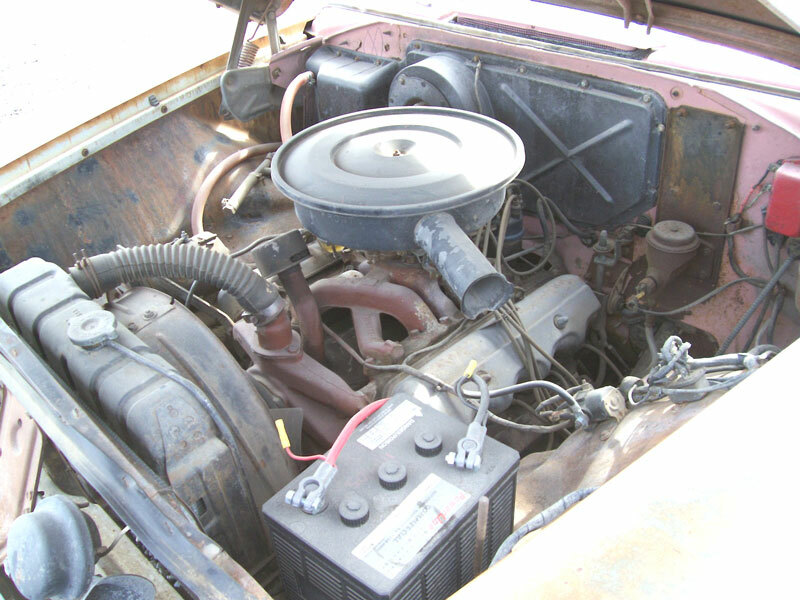 Please call (406) 318-0270 for details about this restorable classic 55 Seneca wagon project car. For sale $3,100.